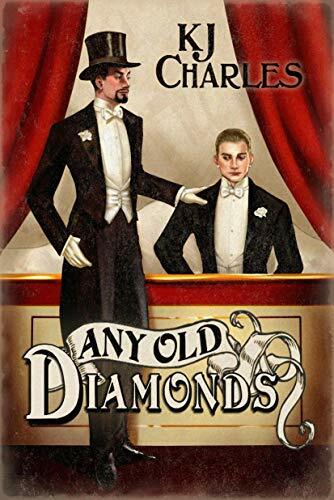 I love KJ Charles writing style, very typically British gentle, self effacing humour, subtle and understated clues to plots, and a rich, realistic historical setting. I don’t want in-your-face novels, I want to explore characters, work out scenes, pick up insinuated clues to what’s going to happen, try to work things out myself. I loved the connection to some past novels, though you don’t need to read those. I enjoyed seeing those characters some twenty years on. I adored Alec, so felt for him. He wanted to do what was right by his siblings, avenge his sister’s death, but when its your father, however awful he is, its a tough thing to face. The Lillywhite Boys, are commissioned by Alec to work the sting, with Jerry, one half of the duo, working closely with Alec, as his friend so that he can be in the right place at the right time. I loved the slow developing romance between Alec and Jerry, the wondering from Alec is this is just a pleasant interlude for Jerry or could he dare hope he means more to him.? Jerry is such an enigma its difficult to feel how he thinks, work out what he really wants from Alec, and I wasn’t certain either until I was blown away by that magical, unexpected declaration. I thought I’d followed the clues, worked plots and answers out, but as usual KJ has surprises, events don’t go as I’d planned and everything changes in an instant. Its cleverly done, the way I’d thought it would go would have left severe repercussions whereas of course the way it actually happens works well for everyone. Well, apart from the Duke and Duchess of course!! Stars: Five, another cracking read,. Romance, mystery, history all in one cleverly written story.